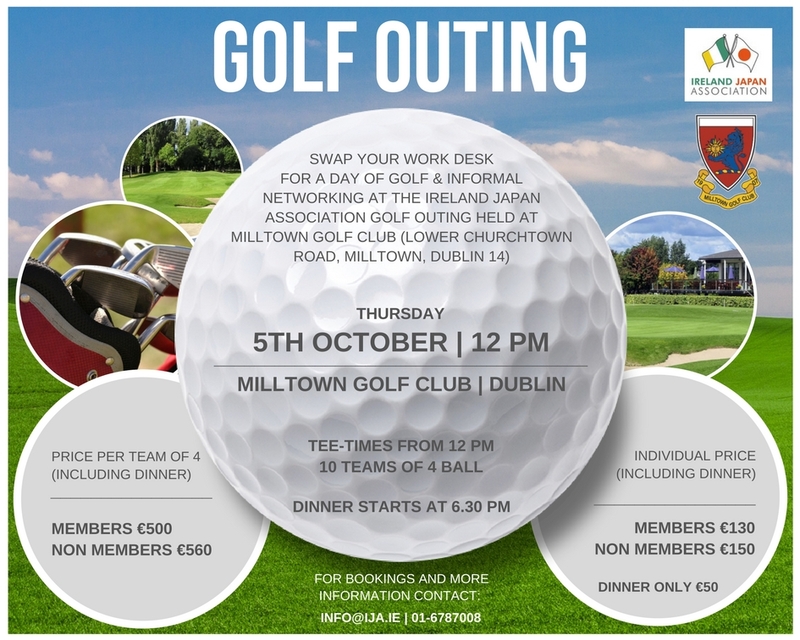 Ireland Japan Association would like to invite you to annual Golf Outing that will be held on Thursday, 5th October at 12 p.m. at Milltown Golf Club, Dublin. Swap your work desk for a day of golf and informal networking! Dinner starts at 6.30 p.m.
All participants will receive goody bag as a little treat and thank you from the IJA.